There’s not much that can beat spaghetti bolognese and my dad makes a cracker. I was sent back to the city with lots of leftover sauce and decided to give courgetti a try to go with it. I’ll admit I was dubious but it went down a treat. 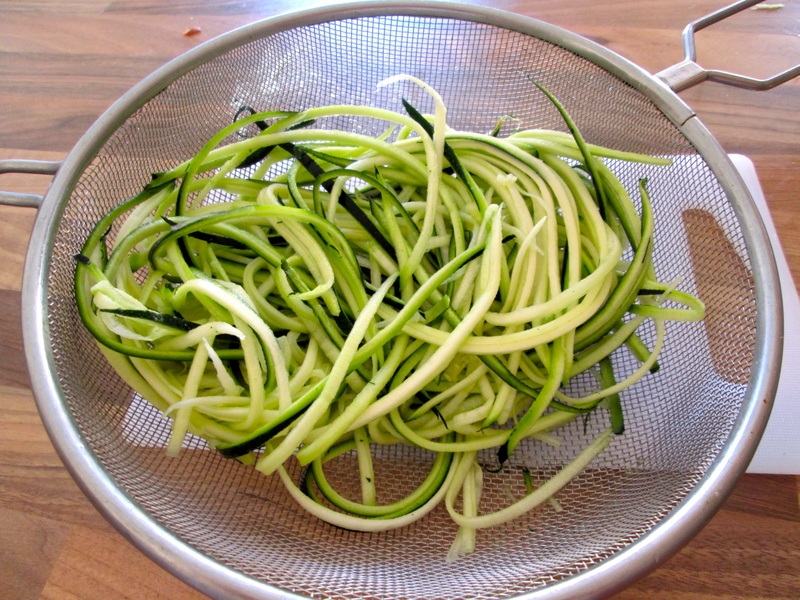 You really need one of those julienne peelers otherwise I imagine it can be a very tedious job, but they are pretty cheap to pick up if you want to make courgetti a regular thing! Courgetti is literally just courgette that looks like spaghetti so makes spaghetti bolognese gluten free and gets you one of your 5 a day. It makes for a much lighter dinner and some added greenery to a meal is never a bad thing. You can combine the two and add a bit of greenery that spaghetti bolognese is missing. Peel your courgette using the julienne peeler and pop into a bowl. Sprinkle over a little salt and leave to release its water for a few minutes. 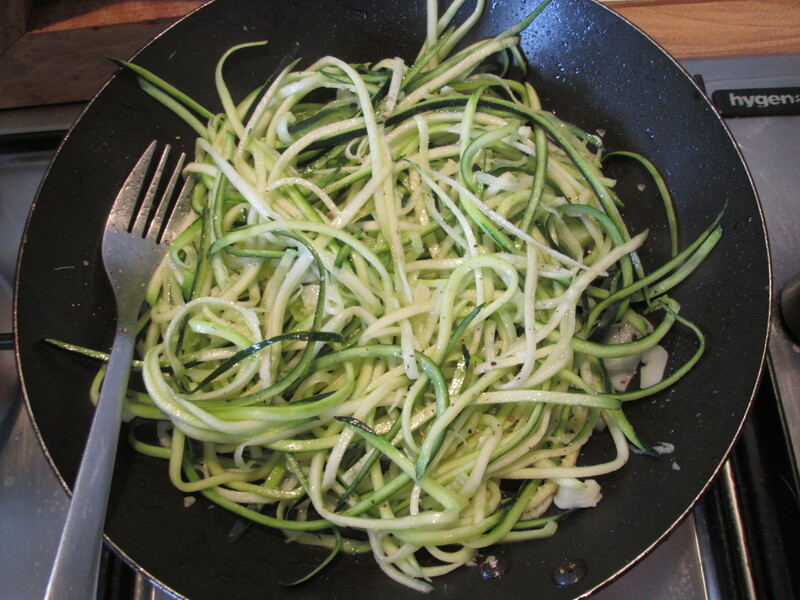 Quickly rinse the courgette to get rid of the salt and leave to drain. Thinly slice the garlic clove and fry in the oil for a minute or so. Add the courgette and keep on a low heat, tossing it all together frequently until the courgette softens – it’s nice with a bit of bite. Add a grind of black pepper and it’s done! Your courgetti is ready for any sauce (great with pesto) or it is a great accompaniment to a fillet of salmon or white fish. 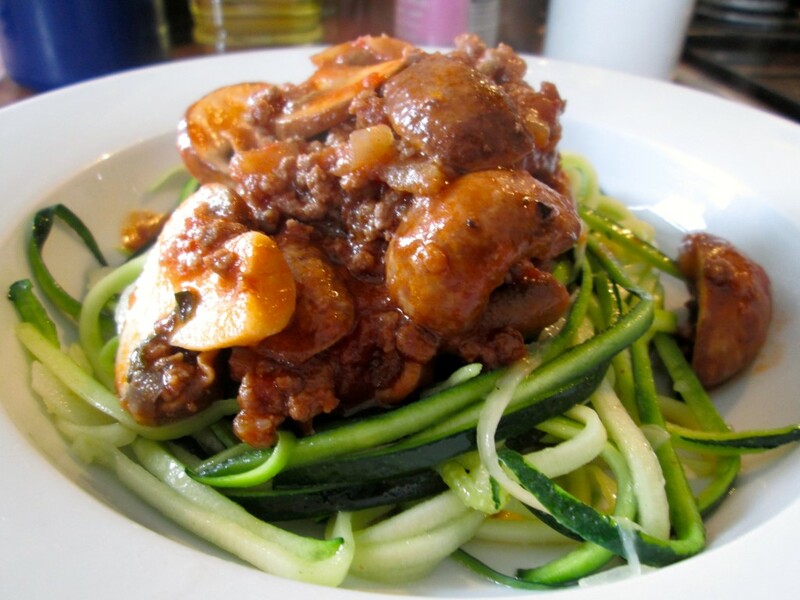 Posted in Good foods, Healthy eating, Recipes and tagged courgette, dinner, gluten-free, health, recipe, vegetables. ← So you wanna be a boxer?